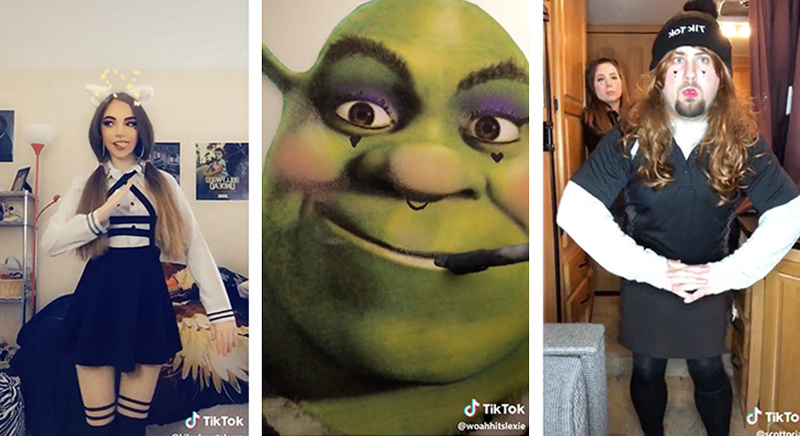 The Brief: A TikTok video meme depicts someone drinking "eGirl juice" or entering an "eGirl factory" and subsequently becoming an e-girl. In these TikTok meme videos, someone either drinks eGirl juice or enters a door labeled “eGirl factory” and then transforms into an e-girl or someone who fits the eGirl style. These videos are usually set to a slowed-down cover of the Spice Girls’ hit “Wannabe” by Why Mona or to a clip from “Me Me Me” by AntiNightcore. These videos are similar to Yee Haw Juice Tik Tok videos in how someone transforms from their “normal” self into a cowboy or eGirl. Sometimes elements of these videos are combined so that someone believes that they’re drinking one kind of juice, only to transform into something unexpected because the juice was mislabeled.